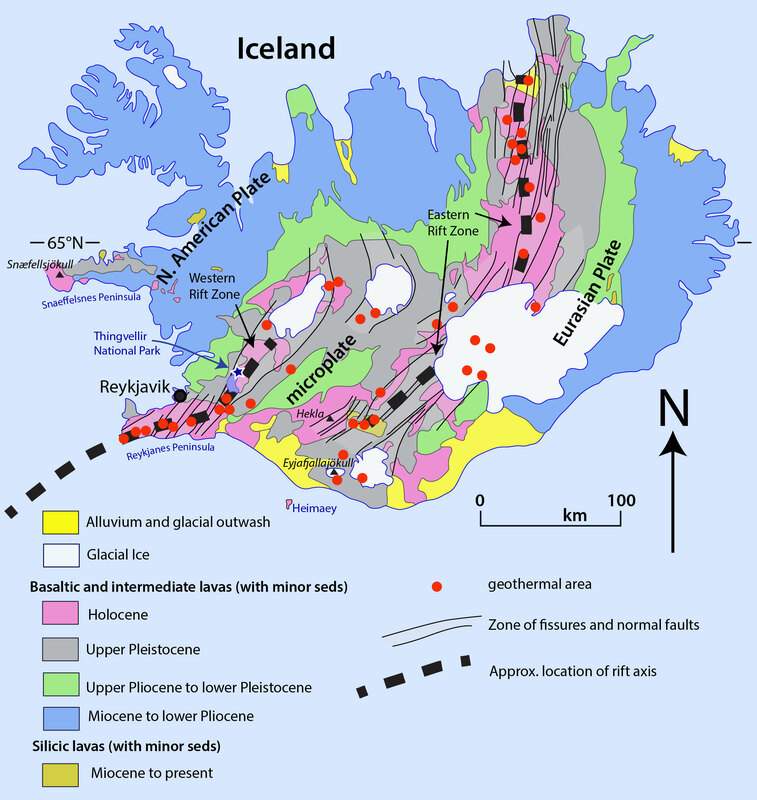 If you look at the geologic map above, you can see two rift zones near Iceland’s mid-section, and that the rocks become older in either direction away from those zones –just what you’d expect. New material erupts in the rift zones as they pull apart, separating the two major tectonic plates. In Iceland there’s a third microplate between the two rifts. The process continues through time, creating volcanic activity with ages somewhat symmetrical about each of the rifts. From the map, you can also see that most of Iceland’s big thermal areas lie within the rift zones. It’s more complicated though. 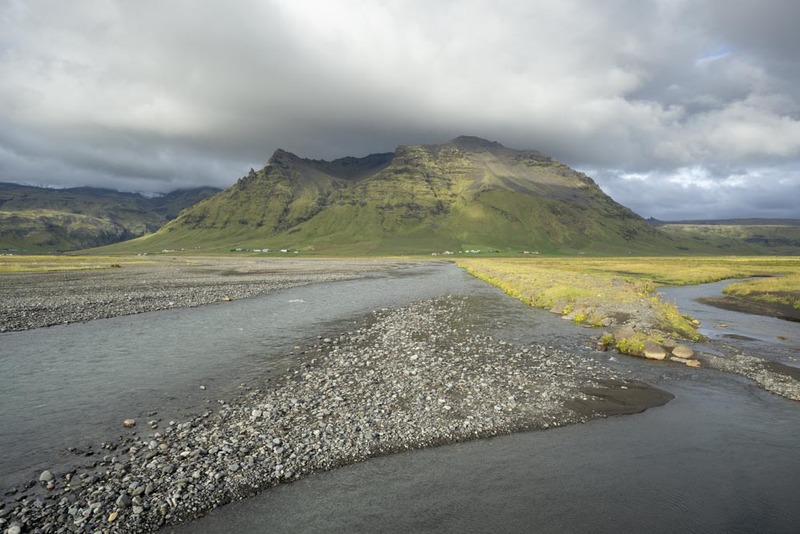 A hot spot beneath Iceland causes increased volcanic activity, which through time, thickened the Icelandic crust to greater than 40 km in places. 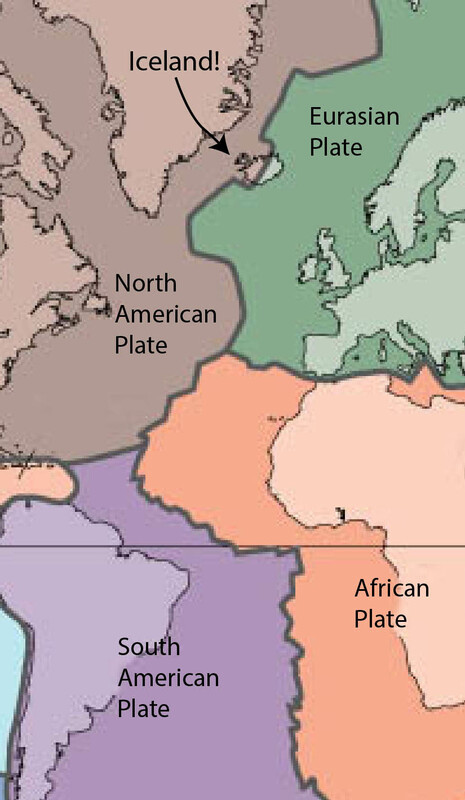 By comparison, most of the oceanic crust beneath the North Atlantic ranges from 4-7 km thick. 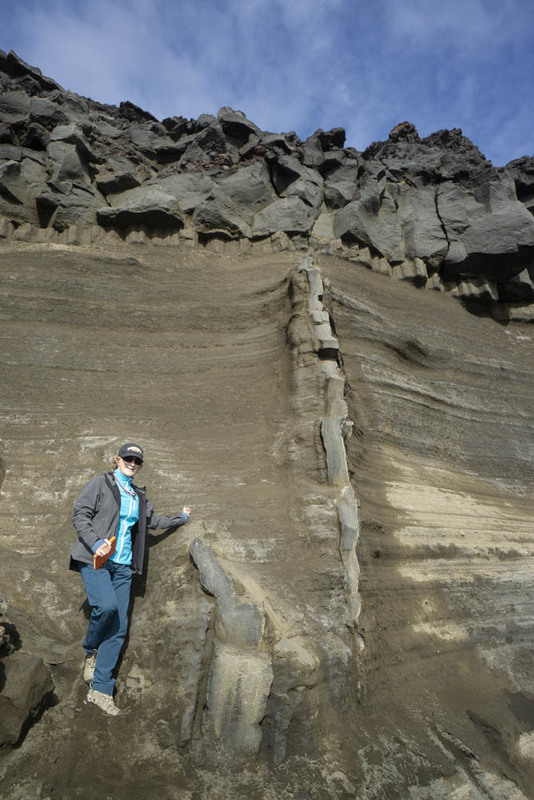 Icelandic magma, rising from its source in the underlying mantle, must therefore pass through a lot more rock, which gives it plenty of time and opportunity to evolve into more silicic varieties. If you look at the geologic map’s legend, you can see that besides basalt (which is the rock of the ocean floor), you also see a lot of andesite and even some rhyolite. In fact, Iceland contains numerous stratovolcanoes, several of which have erupted silicic ash and pumice in the last couple thousand years, including Hekla and Snaeffelsjökull, shown on the map. Snæfellsjökull volcano and glacier. There’s a moss-covered basalt flow in the lower part of the photo; the upper reaches of the volcano are more silicic. What I found so instructive was the physical layout of the rift zones. There’s not a single, discrete crack that marks where all the lava comes up. Each zone is at least several km in width –and marked by numerous discontinuous fissure zones, active at different times than each other. 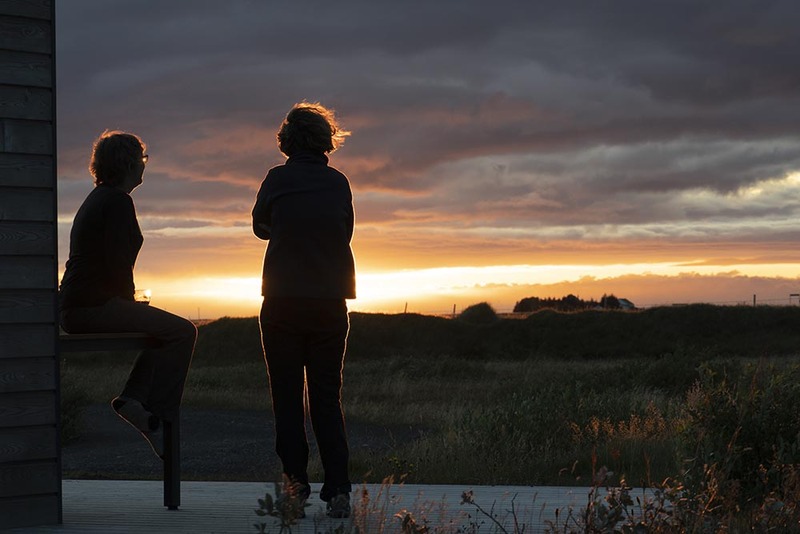 Near Reykjavik, these features are beautifully expressed—and accessible—at Thingvellir National Park as well as along the south coast of the Reykjanes Peninsula. Western Rift Zone at Thingvellir, view northward. Besides the prominent fissures on the left (west), numerous other ones cut the interior of the rift, 3 of which are marked by arrows. The rift continues up the valley behind the arrows. And the lava flows –they too erupt at different times and different places –and not always from an existing fissure. Sinton and others (2005), for example, map more than 30 different post-glacial flows at various places within the western rift zone. Most of the recent activity, however, lies within the eastern rift zone. Since the year 2000, some six separate eruptions occurred within or at the margins of the eastern rift zone. These eruptions include the 2010 eruption of Eyjafjallajökull, which took place beneath a glacier. The water-magma reactions created a gigantic ash cloud that disrupted European air traffic for nearly a week –my oldest daughter got stranded in Ireland! These observations are important because we tend to present rifting and its accompanying volcanism as a steady, continuous process. We ask students to imagine opposing conveyor belts moving outwards from a central area to help visualize the process. But more accurately, the conveyor belts are partially broken and rusty and so move in only fits and starts –and mostly, the conveyor belts seem stuck. If you walked through the rift zone on any typical day, you might perceive that the whole process had simply stopped. And that’s the point. At human time scales, this rifting process is inexorably slow, almost imperceptible. But through geologic time it creates the enormous changes we can see. 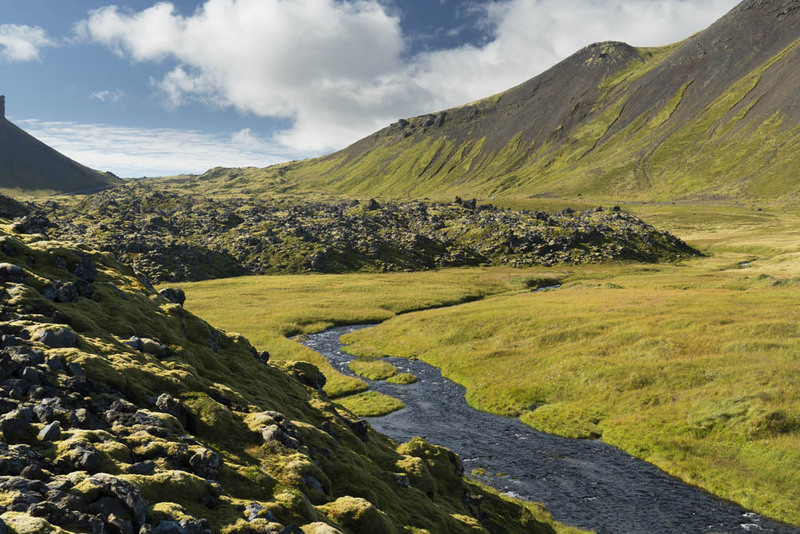 To make Iceland even more complex –and interesting—the Snaeffelsnes Peninsula, north of Reykjavik, marks an earlier position of the rift. The rift migrated some 6-7 million years ago to today’s western rift zone. 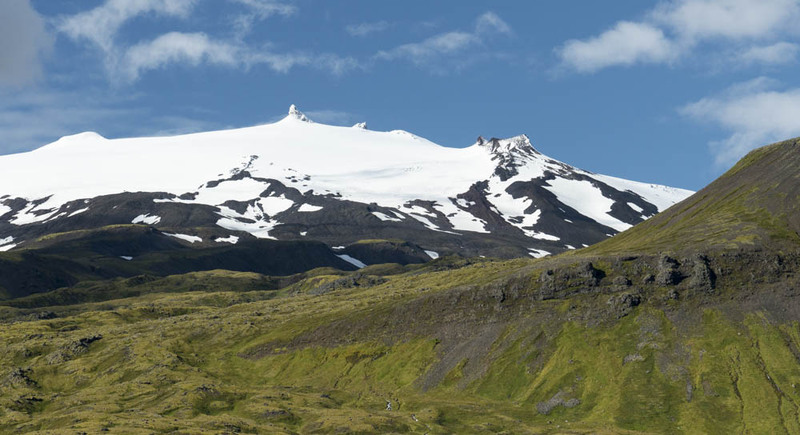 The peninsula’s main volcano, the ice-capped Snaeffelsjökull stratovolcano is still potentially active, having last erupted sometime around 200 AD. So here’s a bit of a photo dump. I visited the SW third of Iceland during early September, 2018 with my friends Christine and Charlotte and shot nearly a zillion photos. What a landscape! While these are some of my favorite photos, I posted more than 100 others on my geology photo website and they’re all freely available to download. Just type “Iceland” into the search! We met up with a Geo group from Colorado College (where Christine teaches) -these are glacial deposits. 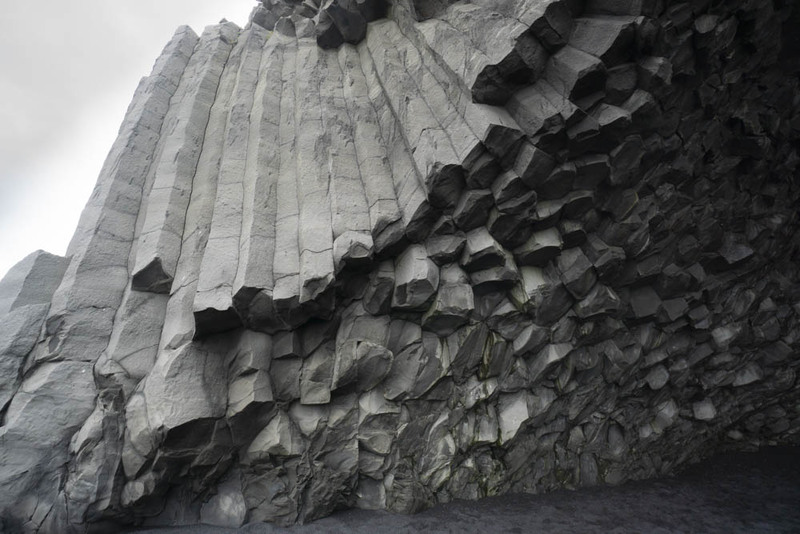 The CC group took us to these basalt columns near Vik –columns in 3D! 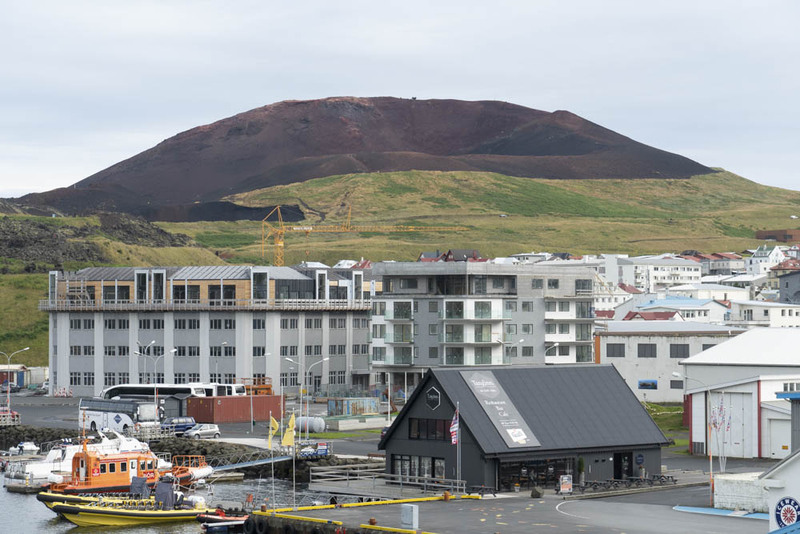 Eldfell cinder cone and town on Heimaey. In 1973, the cinder cone erupted, destroying parts of the town and nearly blocking the harbor. 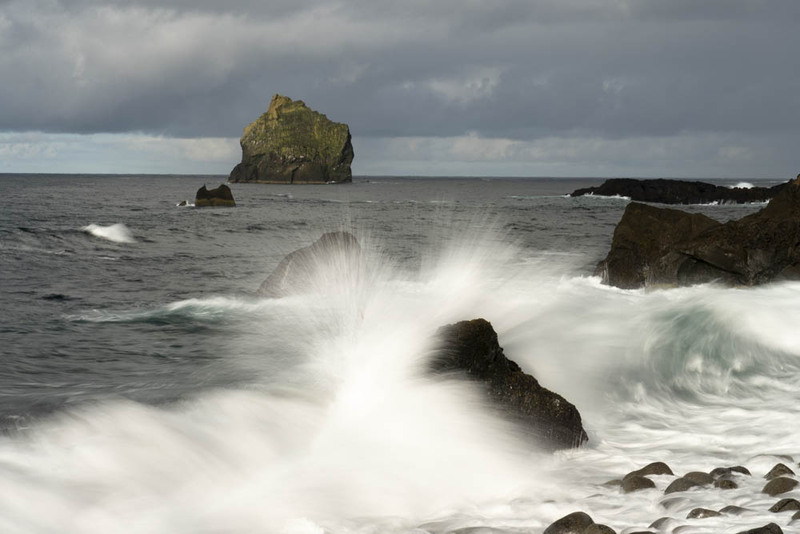 Icelanders stopped the lava using seawater! 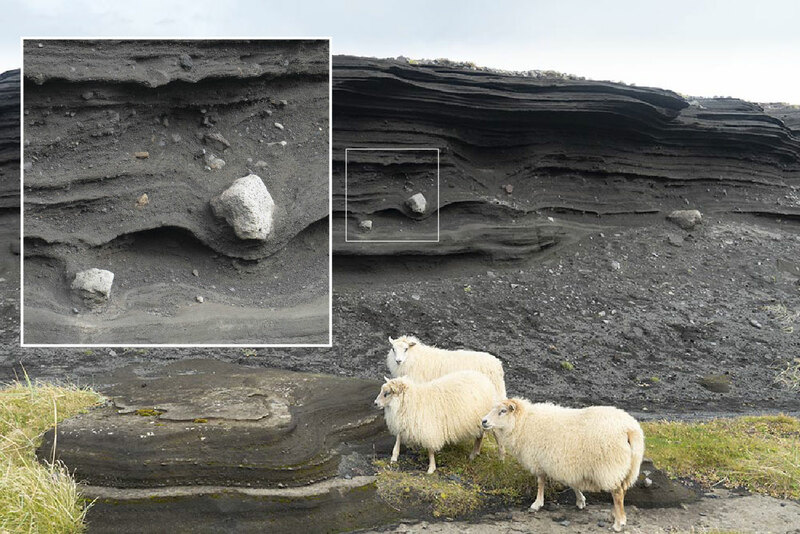 Airfall deposits from earlier eruptions on Heimaey –with projectiles! 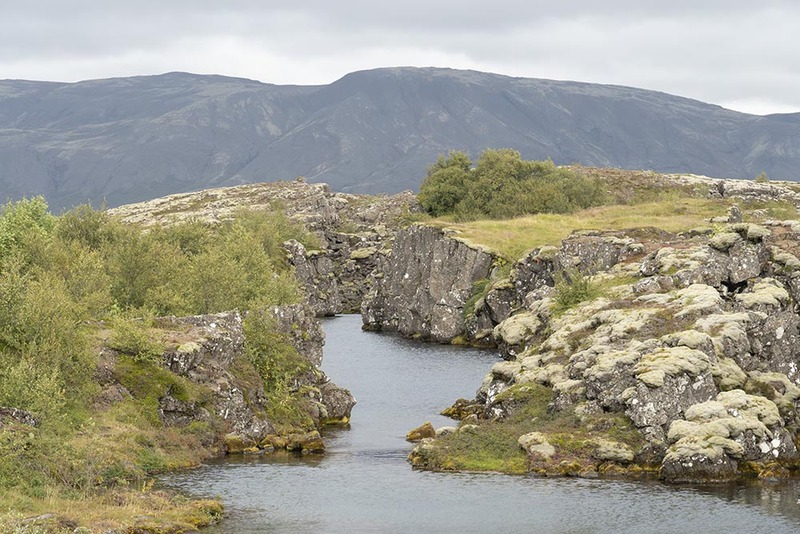 One of the fissures in the W Rift Zone of Thingvellir NP. 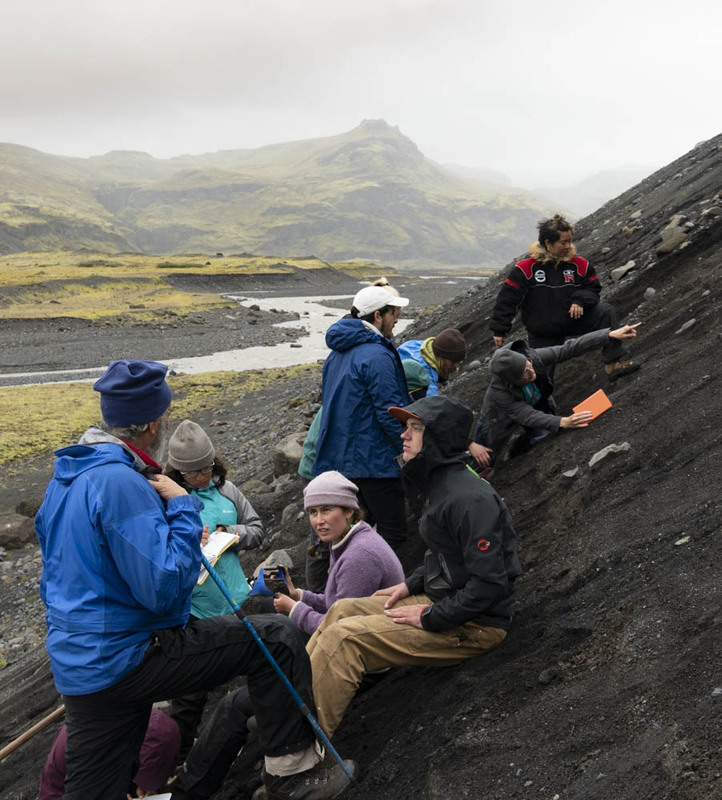 Sinton, J., Gronvold, K., and Saemundsson, K., 2005, Postglacial eruptive history of the western Volcanic Zone, Iceland: Geochemistry, Geophysics, Geosystems, v. 6, no. 12. Great general reference (thanks Tom!) Gudmundsson, A.T., 2007, Living Earth, Outline of the Geology of Iceland, Mál og menning, Reykjavik, 408p.